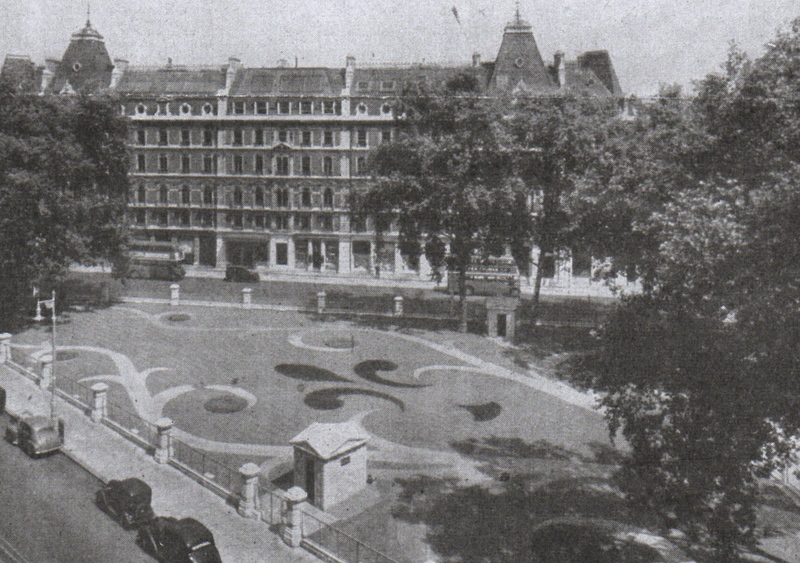 This entry was posted in Follies, History/heritage, Parks/gardens/open spaces and tagged Grosvenor Gardens, Lower Grosvenor Gardens, shell houses, shell huts, Shell huts Victoria by thelondonphile. Bookmark the permalink. I love these. 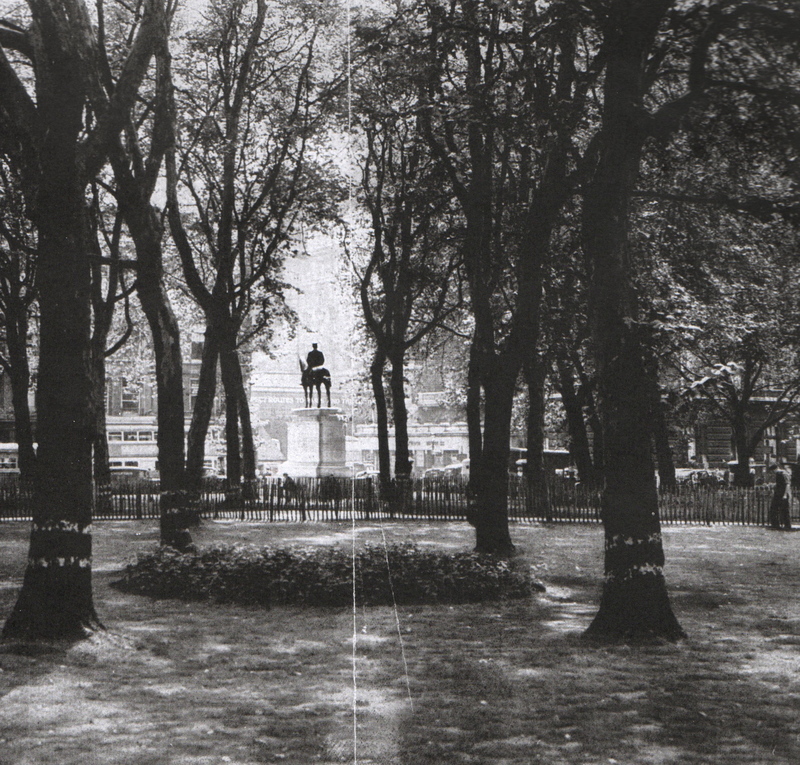 The archive photos are really interesting, especially as I used to work in the English National Monuments Record and I didn’t know about them! I would like to see these buildings. 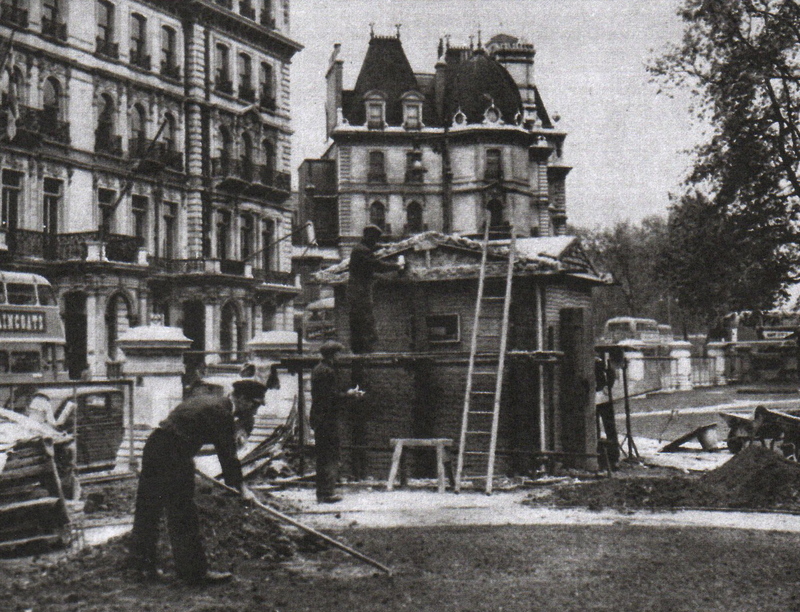 Thank you, I really enjoyed my research at the Westminster City Archives for this post and was thrilled to get so many photos of the gardens/huts at various points over the years (and even during construction!). The National Monuments Record sounds like it would be a fabulous place to work – I am a little jealous! You now have to go to Swindon to visit the National Monuments Record but it is a treasure trove. Yes it was a wonderful experience and taught me a lot. Really enjoyed reading thsi post – as a Victoria commuter for many years (and a National Express traveller in my younger days), I’ve always wondered about the history behind the huts. Thank you Marc! It’s always great to hear when people enjoy a particular post – and especially if they discover something new through it as well. They are intriguing little structures, and their history is quite fascinating. I really enjoyed researching their story. I wonder what the other hut is used for? Perhaps for meters or traffic lights controls? 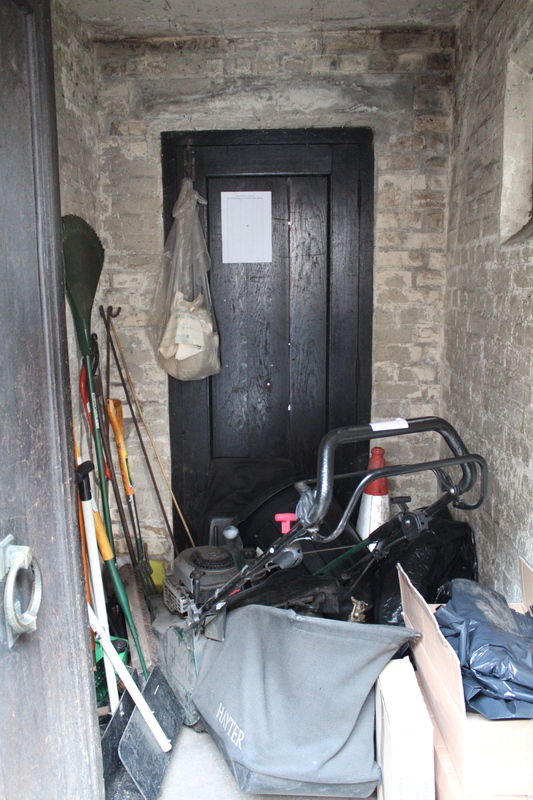 I don’t think the gardner I spoke to had ever seen inside, but I imagine it’s just storage of some kind. Another little mystery! Many thanks for this post. 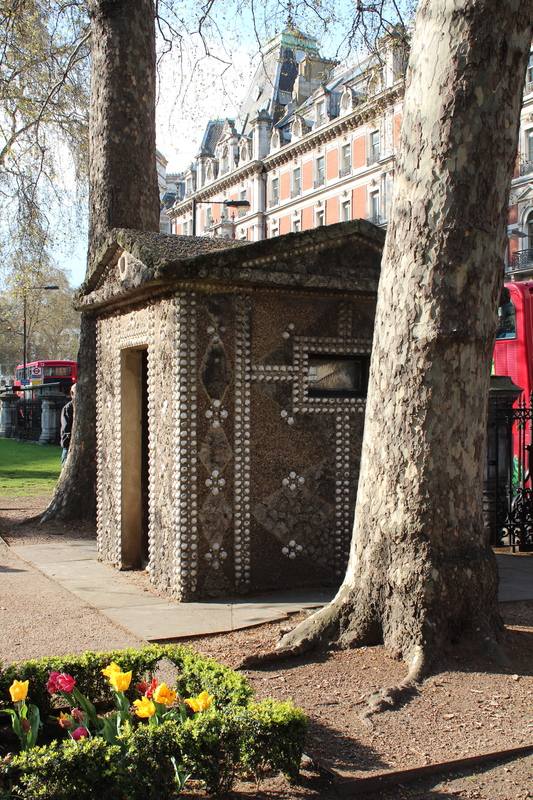 I spotted the Shell Huts earlier this week and yours was the most helpful site for finding out the history of them! 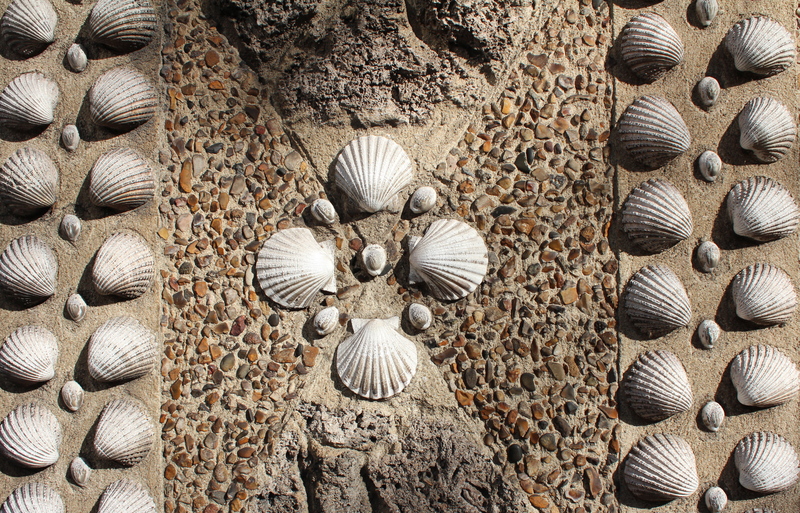 On the subject of shells, have you ever been to Margate’s Shell Grotto? This is one of my own personal favourite posts that I have written too. I really enjoyed researching it – I found the old images at Westminster City Archives. Then I was lucky to meet the gardener when I was taking the photos and he was kind enough to open up one of the huts for me. Just one of those serendipitous days! 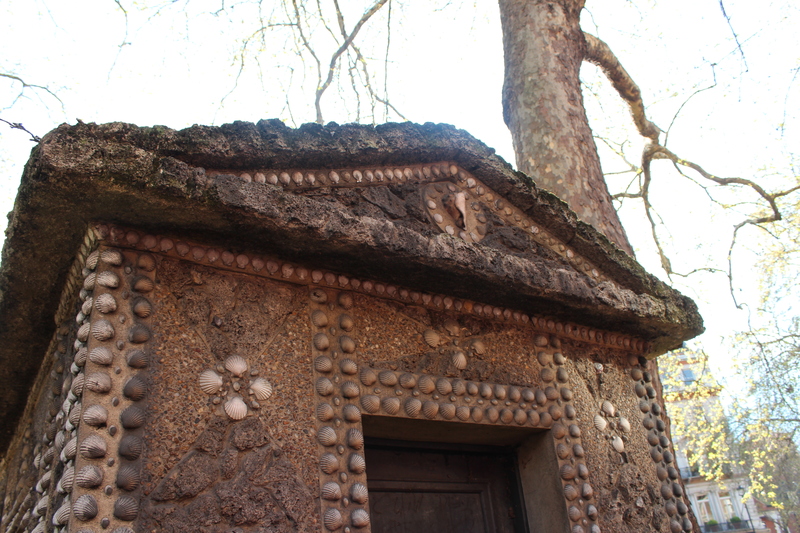 Oh and yes I have been to the shell grotto at Margate! Another amazing place with an equally amazing story. Thank you for your site. 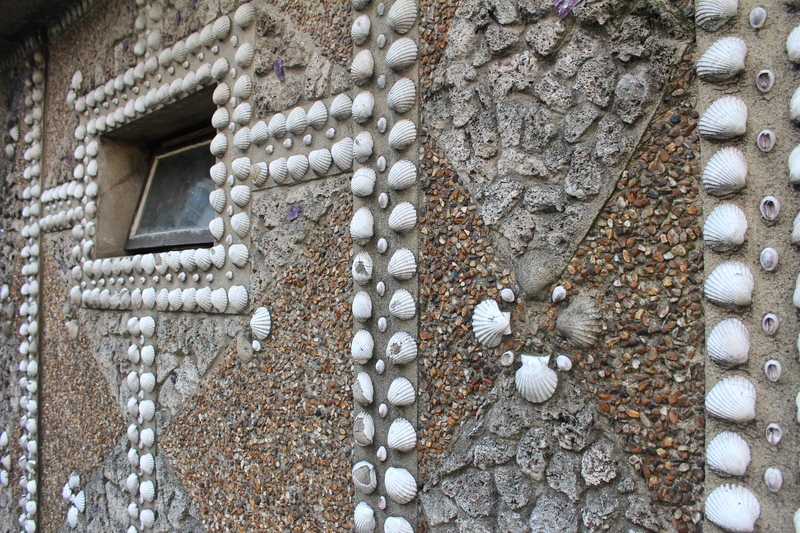 My friend and I have seen the gardens on our bus route when visiting London and were interested to find out about the shell buildings. how old etc. You have answered our questions and next time when we past we will get off and have a look round. There is also Scott’s Grotto in Ware, Hertfordshire. Very interesting site, thanks for ther information you make available. My brother and I were responsible for picking up the cardium rusticums on Camber beach. We got 1d per hundred. My grandfather was Mayor of Westminster (and an architect) and I presume that was why we got involved. I had never bothered to find out about the history of the huts, as I always assumed my father (also an architect) had designed them, but I see from your interesting article about them, that I was wrong! My brother and I are not both in our seventies.